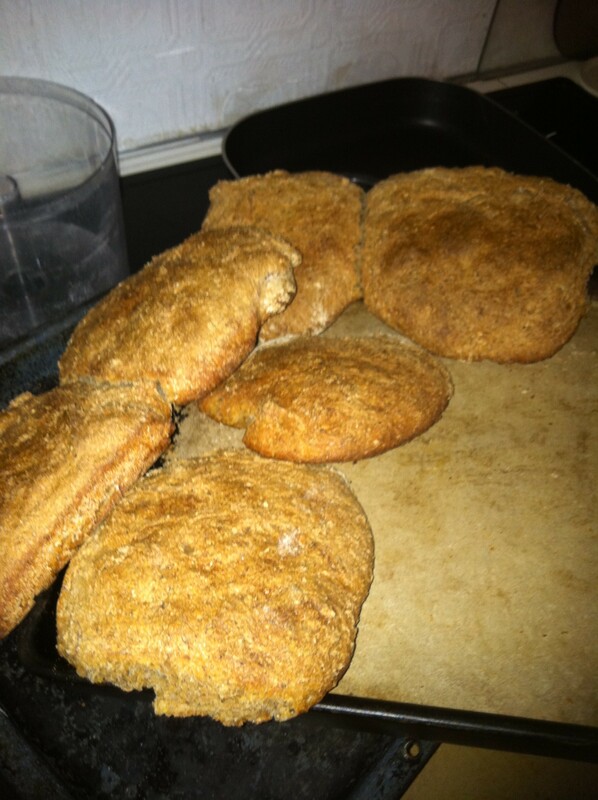 Yesterday I tried my own rendition of Ciabatta Bread after buying a pkg from Sam’s this week. I used the dough only mechanism on my bread machine and then followed the directions on how to make it Ciabatta–you can virtually use any recipe. 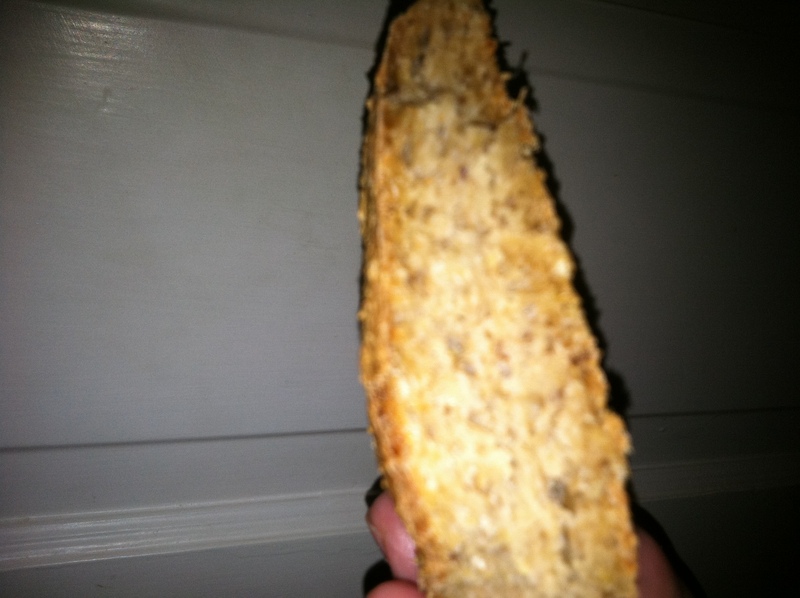 I used 1 1/2 cups of warm water, 2 tsp yeast, 2 T sugar, 2 T Flax Seed, 2 T Olive Oil, 2 tsp salt, 1 c Whole Wheat Flour, 1 c Oat flour (pulverized Old Fashioned Oats) 1 c Bread flour. 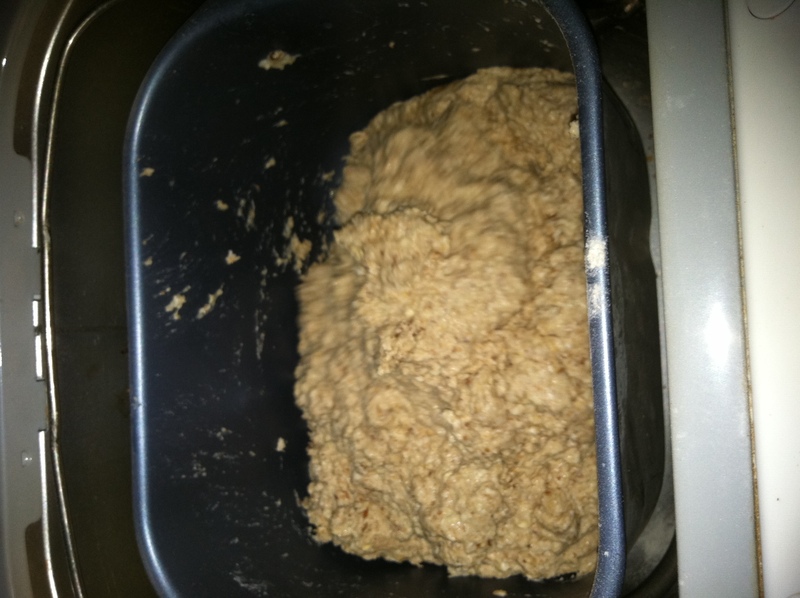 Throw it all in your bread maker–I cured the yeast or whatever you call it, is it cured? I let the yeast stand in warm water with the sugar to see if it would bubble (which means the yeast is still yeasty :p ) Selected “dough” on my bread machine and then waited for the bread machine to do its thing to the dough–> mixed, jiggled & raised.